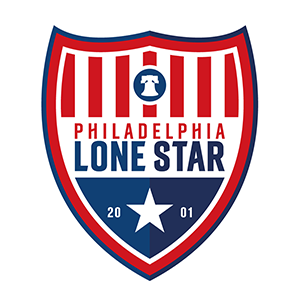 Stars in College: Willie, Keita, Watson Shine in Weekly Recap | Philadelphia Lone Star F.C. Several Stars were in action last week for their respective colleges. Penn State Brandywine sophomore midfielder Daniel Willie led the way with four goals and three assists while Valley Forge Military College freshman defender Aaron Keita and sophomore midfielder Francis Watson had five goals and four goals, respectively. Goalkeepers Vinny Tasca (Sr., Wilmington University), Gerardo Sosa (Sr., Penn State Berks), and Solomon Kamara (Fr., Valley Forge Military College) all had clean sheets during matches played last week. Alvin Dahn (So., MF) continued his good run of form for the Hawks with one goal each in the wins vs. VMI (5-0) and at Fairfield University (2-1) on Wednesday and Saturday, respectively. Dahn leads his team with 14 points (5 goals, 4 assists) in only 8 games he played so far. Vinny Tasca (Sr., GK) started all two matches for the Wildcats during the week. He had a clean sheet in the 6-0 win vs. Chestnut Hill College on Wednesday, but conceded a goal in the 8-1 win vs. Nyack University on Saturday. Tasca now has two clean sheets with a 1.06 GAA from eight games he played so far. Edward Slueue (So, FW) also played in both Wilmington University’s matches during the week. Slueue has appeared six times for the Wildcats this season. Deekai Gbonimy (So., FW) played in both matches for the Wolverines in their 4-0 loss at Washington College on Wednesday and the 4-1 win vs. Delaware Valley on Saturday. Even though Gbonimy wasn’t on target, he has been exceptional for the Wolverines this season scoring three goals in his team’s eight matches so far. Daniel Willie (So., MF) had a great week with the Brandywine Lions where he scored four goals and had three assists during the week. He had a goal and then received a red card in the 3-2 loss at Rosemont College on Monday. After serving his suspension by missing the 9-0 win at PSU York on Wednesday, Willie returned to action with a combined three goals and three assists in the 6-0 win at PSU Beaver (1 goal, 2 assists) on Saturday and 7-0 win at PSU Greater Allegheny (2 goals, 1 assist) on Sunday. Willie now has 13 points (5 goals, 3 assists) in just five games played for his team. Gerardo Sosa (Sr., GK) had a clean sheet in the Berks Lions’ 8-0 win vs. College of Saint Elizabeth on Wednesday, but that was short-lived as his side lost their following two matches: 0-5 at Arcadia University on Thursday and 0-2 at Gallaudet University where he was a very late substitute. Kelvin Siem (Fr., MF) scored a combined three goals and one assist for the Blue Jays during the week. Siem had a goal and an assist in the 3-2 win at Montgomery County CC on Thursday as well as a brace in the 3-4 loss at Lackwanna College on Saturday. Siem leads his team with 16 points (7 goals, 2 assists) in nine matches he played so far. Amadou Kamagate (So., FW) played in both matches and had a goal in the 3-2 win at Montgomery County CC. Kamagate is second on his team’s stats with 15 points (5 goals, 5 assists). Theirno Diallo (Fr., MF/FW) played in both matches and had an assist in the 3-2 win at Montgomery County CC. Ram Keller (Fr., FW) played in both the Builders’ losses during the week: a 3-1 loss at York on Tuesday and a 3-2 loss at McPherson where he had an assist on Saturday. Aaron Keita (Fr., DF) had a five-goal week for the Cadets. The defender scored a hat-trick in the 7-0 win at Harrisburg Area CC on Tuesday before scoring a brace in the 4-3 loss at Bucks County CC on Thursday. Francis Watson (So., MF) is now on 11 goals for Valley Forge Military College after also scoring a hat-trick in the 7-0 win at Harrisburg CC and a goal in the 4-3 loss at Bucks County CC. Mohamed Tall (Fr., MF) also scored a goal in the 7-0 win at Harrisburg Area CC but missed the loss at Bucks County CC. Solomon Freeman (Fr., GK) had his first clean sheet of the season in the 7-0 win at Harrisburg Area CC before conceding four in their 4-3 loss at Bucks County CC. Season Record (2-2-1); Conference Record (1-2-1). Season Record (2-2-2); Conference Record (2-2-0). Season Record (5-0-3); Conference Record (3-0-1). Season Record (4-2-1); Conference Record (3-0-1). Good luck to our players and coaches.